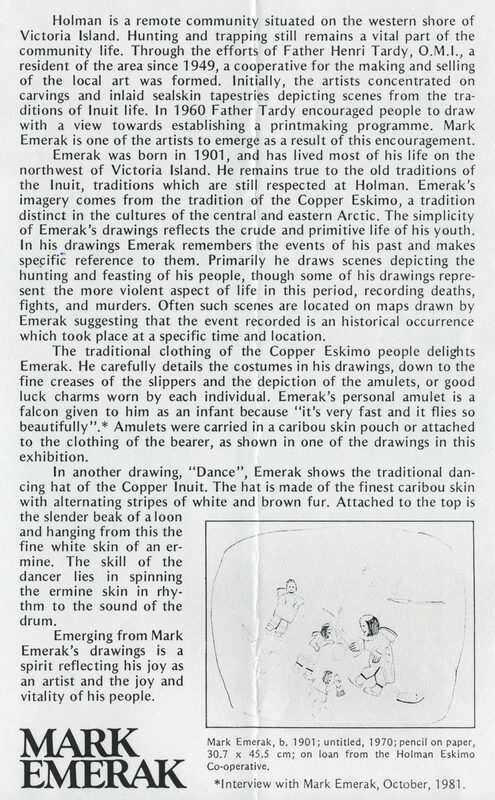 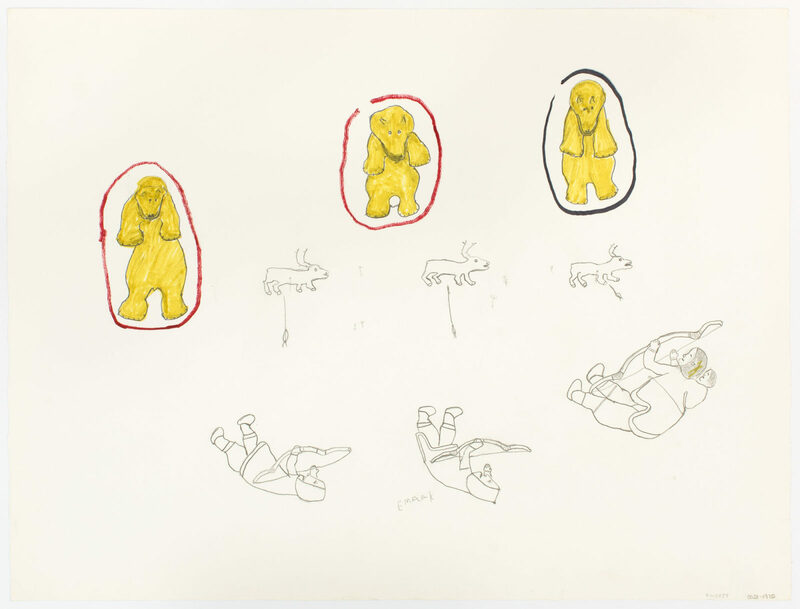 untitled (three bears watching caribou hunt), 1975, pencil, felt pen, paper, 26.25 x 20 in. 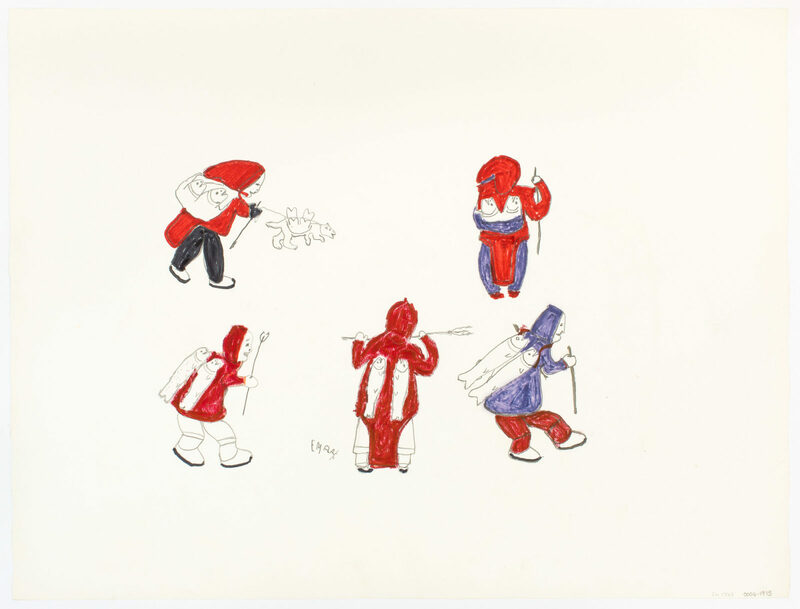 untitled (people fishing), 1975, pencil, felt pen, paper, 26.25 x 20 in. 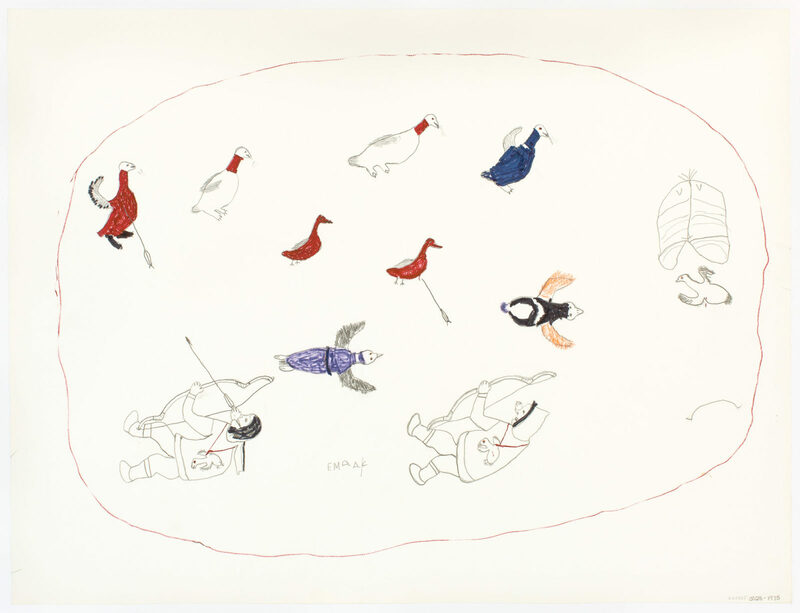 untitled (hunting birds), 1975, pencil, felt pen, paper, 26.25 x 20 in. 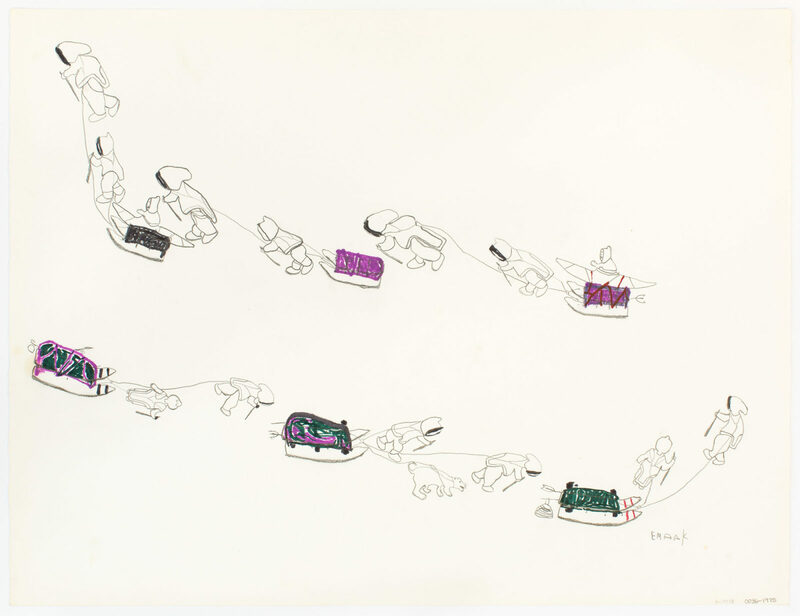 untitled (migration), 1975, pencil, felt pen, paper, 26.25 x 20 in. 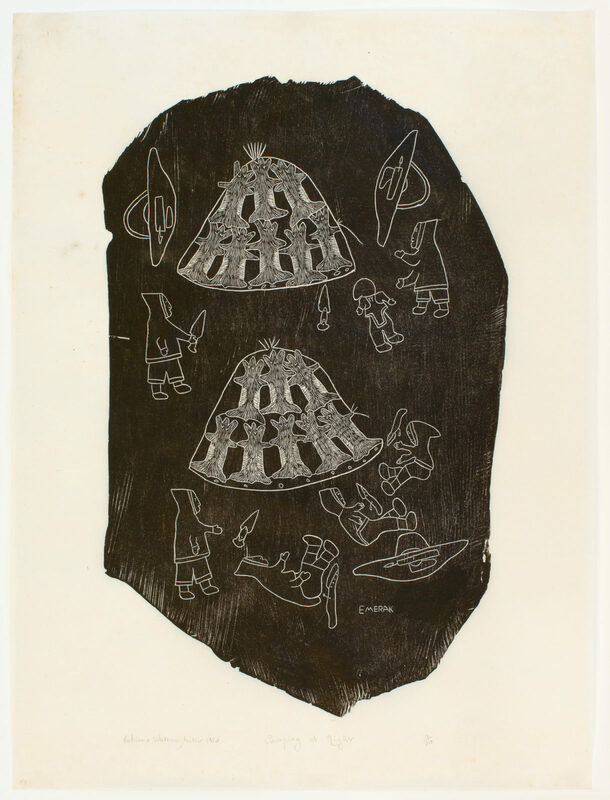 Camping At Night, 1970, stone cut, 12/50, 17.25 x 24 in. 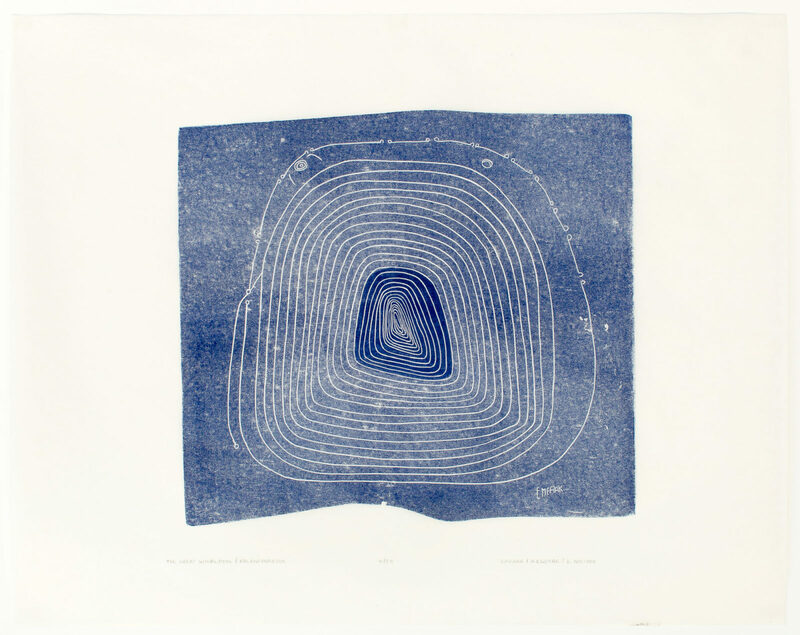 The Great Whirlpool (Kalaniyaaktok), 1987, stone cut, 9/55, 20 x 25.25 in.